Gary Paulsen is a master writer insofar as the young male set goes-he has written a long series of stories that have captured the imagination of young men everywhere, from his fictional wildlife adventure tales like Hatchett to his entertaining Culpeper Adventure series, Paulsen has a knack for connecting with a young male audience. He was my son's all time favorite author growing up and, last time I visited him at college, noticed he had a copy of Hatchet on his bookshelf at school. I asked him about it and he said something to the effect that his room didn't feel like home without it there. How many writers can affect people like that? Winterdance is a bit of a departure for Paulsen. As sott of younger male's version of Jon Krakauer's Into Thin Air, the book is a memoir telling the story of Paulsen's entry into the Iditarod dog sled race in Alaska. Funny, sad, poignant and riveting, I read it and enjoyed it very much. I also had my son read it and he loved it as well. I rather suspect it's on his shelf next to Hatchett. You can't really go wrong with Paulsen, but this is one of his very best works, which makes this one of the best works ever for this genre. Want to help your son, nephew, whomever to love to read while making your son, nephew, whoever very happy? Give them this book. This book packs quite a punch. Each chapter ended with this reader wincing for the author, who had just spent the night stumbling through a Minnesota swamp, his eyes almost swollen shut from mosquito bites, searching for his runaway dog team, or had been blown down an Alaskan mountainside with his team, in the midst of a blinding snowstorm. Not to mention the five-skunk night. It takes a great deal of physical as well as mental toughness to train for the Iditarod, much less run a team of half-wild dogs in the actual race. 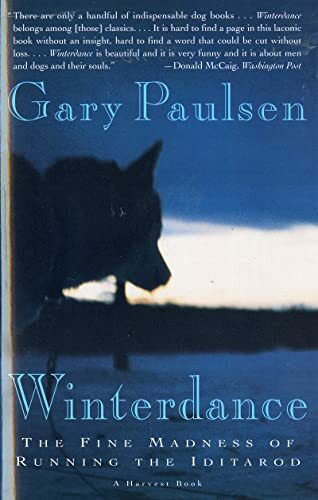 "Winterdance" reminds me of Algernon Blackwood's "Wendigo:" in both stories men are caught by the spirit of the Great Northern Wilderness, and perish or almost perish. I think the most telling moment in Paulsen's book comes when he runs his team to the end of his trapline---and then keeps on going in the dead of a Minnesota winter, just to see what lies beyond the next hill. His wife's intuition to call out a search team was correct, even though Paulsen eventually did turn back. The 'Wendigo' or wanderlust had almost captured his soul. It also reminds me of "Call of the Wild." Like Jack London, Paulsen has a laconic, fluid writing style, and both authors include the Wilderness itself as one of their major characters. I won't say that either man subscribed to Blackwood's weird brand of pantheistic mysticism, but read how Paulsen slowly bonds with his dogs--and other wild animals. This book is also a grand dog story with more pratfalls than a "Three Stooges" movie. The author spent many a night on his backside, being dragged down a dirt road (or worse, through a second-growth forest) by his lusty team. Running the Iditarod takes a very special madness, and Paulsen endured moose attacks, blizzards, dog bites, and too many helpings of moose chili to draw us into his very beautiful and brutal world. the skunks... the skunks... the skunks!!!! I have always been interested in dogs and sports involving them, so I thought this would be a good book. I was right. WINTERDANCE was a humorous, easy-to-read story (Which I finished in two days). The plot is fast-paced, and this is not the kind of story where you get one page into it and quit. It's about a dog musher who decides to run the Iditarod. He doesn't realize what he's getting himself into and what a serious commitment it is. He survives the tough training, but it is nothing compared to the real race.Before he finally crosses the finish line, he has been victim of a moose attack, had hallucinations, fallen off a cliff, gotten lost, and almost frozen to death! It keeps you on the edge of your seat. On the down side, this book draws a rather abrupt, and not very satisfying conclusion. A few parts are poorly written (Although most of in is well written). It also has profanity. Lots of it. This book is definitely not for very young children. But overall, it is a very satisfying read. Winterdance is filled with adventure and fun. 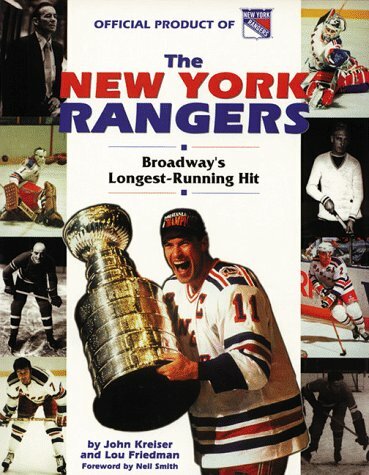 I enjoy novels about sports and animals. Some of my favorite books are The Contender and Where The Red Fern Grows this book is up there with them. I found it very funny. It deals with Gary Pulsen description of preparing and running the Iditarod. The story starts out with Paulsen and his favorite dog, Cookie. Paulsen describes his search for dogs and training them and himself for the iditarod. Along the way he finds some interesting ways of doing this. Paulsen ends up hitting a lot of tress while being dragged by his dogs, and that's just the beginning. The race tended to be even funnier. Melding superb research and the extraordinary expedition photography of Frank Hurley, The Endurance by Caroline Alexander is a stunning work of history, adventure, and art which chronicles "one of the greatest epics of survival in the annals of exploration." Setting sail as World War I broke out in Europe, the Imperial Trans-Antarctic Expedition, led by renowned polar explorer Sir Ernest Shackleton, hoped to become the first to cross the Antarctic continent. But their ship, Endurance, was trapped in the drifting pack ice, eventually to splinter, leaving the expedition stranded on floes--a situation that seemed "not merely desperate but impossible." Most skillfully Alexander constructs the expedition's character through its personalities--the cast of veteran explorers, scientists, and crew--with aid from many previously unavailable journals and documents. We learn, for instance, that carpenter and shipwright Henry McNish, or "Chippy," was "neither sweet-tempered nor tolerant," and that Mrs. Chippy, his cat, was "full of character." Such firsthand descriptions, paired with 170 of Frank Hurley's intimate photographs, which are comprehensively assembled here for the first time, penetrate the hulls of the Endurance and these tough men. The account successfully reveals the seldom-seen domestic world of expedition life--the singsongs, feasts, lectures, camaraderie--so that when the hardships set in, we know these people beyond the stereotypical guise of mere explorers and long for their safety. THE BEST BOOK!! YOU MUST READ IT!! 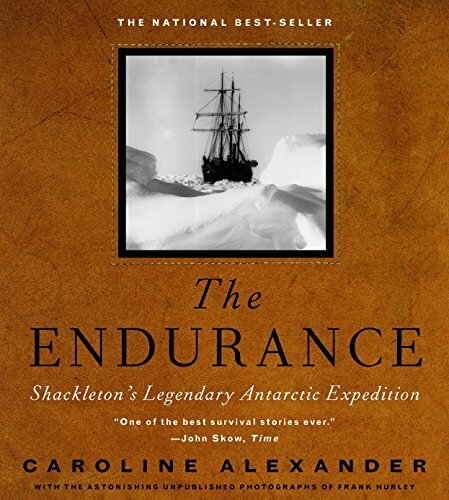 The Endurance by Caroline Alexander is a non fiction book about an explorer Sir Ernest Shackleton and his crew as they try to become the first explorers to cross Antarctica on foot. Sir Ernest Shackleton was one of the most known polar explorers of his day. Shackleton and his crew of 27 set out to sea on his boat Endurance on August 8th, 1914. The 28 men went down to Buenos Aries, Argentina then they continued to their last stop South Georgia Island which is in the southern Atlantic before they went to the pack ice and beyond. Once they got the ship into the pack ice they followed the cracks between each floe (leads) to try to get to the main land of Antarctica. Do they ever get home to England? Do they all even survive such a journey? This book was a heart racing kind of book. If you previously were not interested in history books The Endurance might change your opinion. I was impressed by how these men risked their lives freezing to death just to obtain their personal goals. The adventure of when they have to abandon ship will leave you hanging from your seat. The way Caroline Alexander wrote the book was engulfing . Her detail was thorough and she must have put many months of research on their journey. She also used clips from journals telling in the sailor's words what was happening and what was going on in their minds. I have read a few books about sailing the sea and The Endurance was the best one because of the way in which it was written. The photographer Frank Hurley took unbelievable shots of the whole expedition. The types of photos that were taken included, black & white stills, movies and color slides. The photographs look like they were taken recently by a digital camera instead of a Kodak in the early 1900's. Technically the pictures are crisp and clear for surviving the 22-month journey. This is a book that should be in every school library and all public libraries so everyone can experience The Endurance. Caroline Alexander brings a wealth of information into this "last of heroic Antarctic adventures". What sets this book apart from the several others written on this subject is the broad scope of details provided. Each of the 28 characters are individually described in the beginning although for the most part the majority have a collective role in the success of the expedition. Yes success, as in 28 start, 28 survive. It really is hard to go wrong with such a great story. By focusing on the ship's cat Caroline comes dangerously close. The collection of the thoughts from members diaries brings the gravity of their situation to a level the reader can feel and fear. The book itself is beautifully printed, the numerous photographs hit the highlights the trip and are captioned in detail. Where Alfred Lansing's book ends on a romanticized high note, Caroline Alexander goes on to detail the fates of the mates after the expedition. Needless to say such a journey is the high water mark for displaying character in the most oppressive of situations. My advice is to buy it for your coffee table, for it is a beautiful book, but read Alfred Lansing's' Endurance accompanied by the Nov. 1998 National Geographic article (by Ms. Alexander) which includes the Frank Hurley photographs. A REAL story told REALLY well. I listened to it on tape. One of my top five favorite books of all time. I would not have found it if my librarian hadn't suggested it. Couldn't put it down - If you are a man (or woman) in search of true adventure from days gone by then this is the book for you. This insanely difficult journey reveals the true character and spirit of these men in their effort just to stay alive. It feels like you are almost there with them, but glad that you aren't. Then give it to a friend - It's that GOOD! This book is a first-rate telling of the Endurance story. Even better, the B&W photos are gorgeously reproduced, and Alexander tells some details of how they were taken and preserved. As Apsley Cherry-Garrard states in his introduction to theharrowing story of the Scott expedition to the South Pole, "PolarExploration is at once the cleanest and most isolated way of having abad time which has been devised." 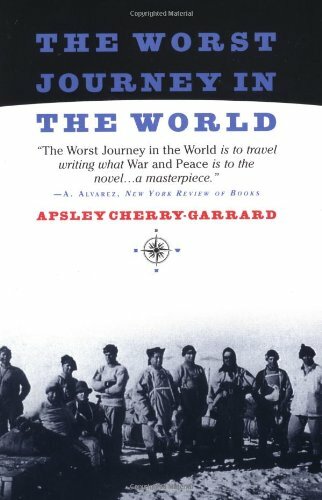 Cherry-Garrard's The WorstJourney in the World is a gripping account of an expedition gonedisastrously wrong. The youngest member of Scott's team, the author waslater part of the rescue party that eventually found the frozen bodiesof Scott and three men who had accompanied Scott on the final push tothe Pole. These deaths would haunt Cherry-Garrard for the rest of hislife as he questioned the decisions he had made and the actions he hadtaken in the days leading up to the Polar Party's demise. Apsley Cherry-Garrard has truely given us an epic for exploration and adventure. This book conveys the horror, tragedy, and even ironic humor of Scott's ill-fated last expedition in an extremely eloquent manner. Cherry-Garrard could not more fairly credit his companions. From the beginning, he is modest and places huge credit on his fellow explorers. In particular, he talks about Bowers, Wilson, and Scott with a sense of awe and immense respect. The countless horrors of Scott's journey are described graphically, and it was easy to imagine anything from leaping from ice-flow to ice-flow for ours on the depot journey to stumbling upon the dead bodies of his friends. I enjoyed every minute of it. The Worst Journey was incredibly inspiring. After reading the book, I felt like I could do anything, take on any challenge. The troubles they endured, the lifestyle they adapted to, is mind-numbing. It is difficult to imagine surviving such things. In the "Winter Journey," one of the most difficult Journey's ever experienced by man, Cherry-Garrard and two other men struggle through the Antarctic Winter to Cape Crozier to obtain Penguin Eggs. They travel in pitch black, around giant crevasses, in frozen clothing, in -70 degree temperatures, and with sleeping bags that take hours to get into. This was the most intense, gripping reading I have ever done. No matter who you are, you will like The Worst Journey In The World. Fantastic writing, gripping plot, and visual descriptions will keep you glued to the book. And when it's done, you will not want to stop reading. When will there be another Apsley Cherry-Garrard? You cannot read this book without being inspired by the courage of the early Antarctic explorers; you cannot read it without being impressed by the good literary taste of the author; nor can you, after reading this book, fail to have admiration grow in your heart for the self-ignoring author. Cherry-Garrard was a first-rate Antarctic explorer, a first-rate writer, and a first-rate human being. What makes Capt. Robert F. Scott, Dr. Edward Wilson and their fellow explorers particularly admirable is that their chief goal was not fame, but to acquire Scientific Knowledge: it was the interest in the penguins as an important evolution chain that led to the Worst Journey by the three valiant men, and it was, in part, the insistence not to abandon the 30 pounds of specimen (let alone a companion) that eventually resulted in the tragedy of the Polar Journey. Indeed, what a price to pay! Whereas the book _Endurance_ may have created a "Shackleton mania", it is books of such quality as Cherry-Garrard's book that will have a lasting, lofty place in the history of the exploration literature. "One day there had been a blizzard, and lying open to the view of all was a deserted nest, a pile of coveted stones. All the surrounding rookery made their way to and fro, each husband acquiring merit, for, after each journey, he gave his wife a stone. This was the plebeian way of doing things; but my friend who stood, ever so unconcerned, upon a rock knew a trick worth two of that: he and his wife who sat so cosily upon the other side. "The victim was a third penguin. He was without a mate, but this was an opportunity to get one. With all the speed his little legs could compass he ran to and fro, taking stones from the deserted nest, laying them beneath a rock, and hurrying back for more. On that same rock was my friend. When the victim came up with his stone he had his back turned. But as soon as the stone was laid and the other gone for more, he jumped down, seized it with his beak, ran round, gave it to his wife and was back on the rock (with his back turned) before you could say Killer Whale. Every now and then he looked over his shoulder, to see where the next stone might be. "I watched this for twenty minutes. All that time, and I do not know for how long before, that wretched bird was bringing stone after stone. And there were no stones there. Once he looked puzzled, looked up and swore at the back of my friend on his rock, but immediately he came back, and he never seemed to think he had better stop. It was getting cold and I went away: he was coming for another." They felt like friends when I was done. As an American I don't even recall being taught anything at all about Scott and his men when I was in school. I saw a article in a Life magazine special that got me curious and did a web search and discovered Cherry's excellent book. Its my favorite adventure book of all time and the men were a different breed than most today. Bowers in particular sounded amazing, I think I'd rather have a conversation with him than Scott if I had the ability to go back in time and meet only one. Sure there was the occasional dry spell but considering the age of the book I thought it was remarkably contemporary sounding. Most amazing of all to me though was the fact that after reading the book at least 3 months ago I still think about it at least every other day! 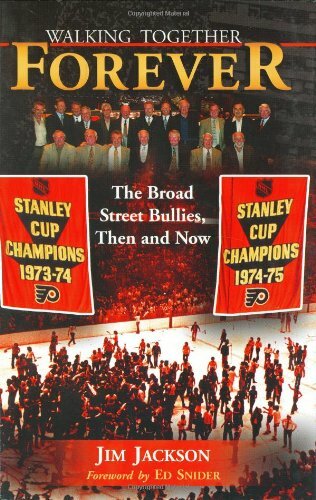 Not only that it seems like Cherry, Scott, Bowers, Wilson and Evans were old friends of mine that in my opinion is a true testament to Cherry's writing. I wish it had more pictures but I guess you can't have everything. P.S. I can't help but looking at modern things and modern problems and thinking what would Bowers think of that or Cherry, I'm sure they'd be depressed at the overall state of morals around the world and Englands decline would suprise them but in particular I wonder what they would think of modern clothing and stuff like GPS. I read this book two years ago, and have read a lot of true adventure books since then. I can honestly say that I have compared all others to "Journey" - it has become my benchmark! The level of human suffering combined with positive life affirming attitudes in this book is overwhelming! It's difficult to apprehend the challenges these men faced, and for such long periods of time. Their feats are nothing short of miracles. To top it off, "Cherry" recounts the story with superb style and grace. In todays world of "keep it simple", "dumb it down", and "shorter is better", it's refreshing to read an author who lets the language flow and uses it with a beauty of it's own. Granted, it was "normal" language at the time that it was written, but even among his peers, he excelled at the written word. That's why "this" book is a better choice that other books on the same topic. You get this one from Cherry's own diary and words, not a modern author looking at it from the outside in. In spite of the illustrations included in the edition that I read, it would be helpful to consult other maps of the area. There were times when it took some digging to figure out exactly where the authors were (geographically) and the terrain difficulties that they discussed. Once you figure it out, though, there is usally another "WOW" moment attached to it. If there is anything wrong with this book, it would be that it needs better maps in a variety of scales for frames of reference, and MORE PICTURES! There are times when your imagination just won't do justice to reality. Seeing it in a photo would be fantastic. There are many other sources for those photos... check them out while reading this book. All in all, a GREAT adventure book. 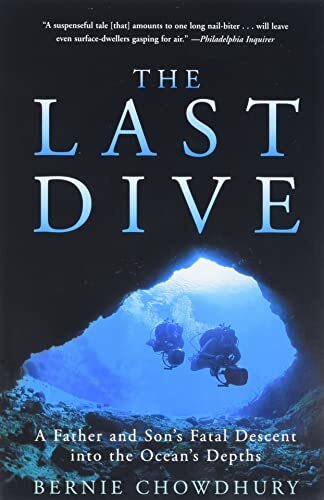 If you are interested in true life adventure which tests the limits of the human soul, spirit, and physical abilities, this book is an absolute MUST read. 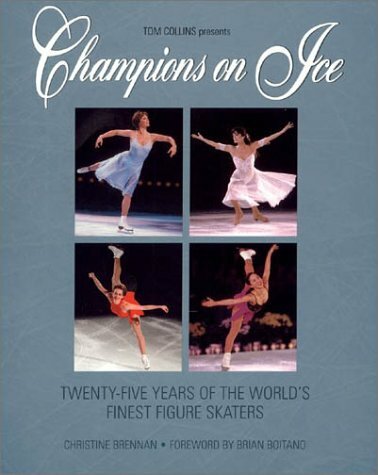 This book celebrates 25 years of the touring skating show Champions on Ice, withan up-close look at the 2002 Olympic Tour, featuring Salt Lake City gold medallists Sarah Hughes, Alexei Yagudin, and Marina Anissina and Gwendal Peizerat, and many others. Christine Brennan of USA Today has travelled with the tour and spent time with skating’s superstars behind the scenes to learn what makes them special and what makes them tick. She follows the tour to present a “day-in-the-life” view, from wake-up call to tuck-in at night, from quiet moments to clowning around, to a packed arena and showtime on ice. In addition to this year’s tour, Brennan brings moments alive from every year, presenting a “Who’s Who” of modern figure skating. The story of Champions on Ice mirrors the development of figure skating itself, and Brennan brings this to life when she describes fan passions, the art and craft of selecting the right music for a routine, the changing role of coaches and choreographers, and the impact of the “Russian invasion” that changed the face of North American figure skating in the early 1990s. Tom Collins is The Greatest!! If I could rate this book a 10 I would. Tommy, to his friends, and we are lucky to be his friends because as much as we personaly love him, his wife, Jane, (Janie), and now his sons, Mike, Mark, and Marty, Tommy is extreamly loyal to the performing skaters, managers, crew members of past generations. We've cried with him when his dear friend and ours, Paul Andre died. Before that was the loss of his sister, Marty, and her three children. After was the loss of Morris Chalfen and many years later Harris Collins; both were inovators for ice-skating shows. And too many more to mention here, but all were so dear to their "skating family". Tommy NEVER forgets his friends. Nor does Don Watson, Butch Collins, David Sutton, Roger Bathurst from Holiday on Ice, Ice Capades, or Ice Follies, all dear friends and incredible people, and his staff on tour. And Sandy Reed, whom I know only from her kindness year after year. Anyone who buys this book is in for a fantastic treat. It is a wonderfull skate through decades of skating's elete. Tommy, you are a diamond in the often murky world of figure skating! Love always Carol and Clive Phipson. I love this book!! Brennan gives a year by year history of each tour, she highlights favorite skaters, talks about unique antics/events that occured with touring, but my favorite is when she gives a blow by blow 24 hour day in the life of the skaters and the Champions on Ice staff. Marvelous! Page after page is devoted to setting up of the ice show (they start early in the wee morning hours), problems that occur, and how the skaters spend their time, warm up prior to the show, what they do during the performance. Lots of pictures of the skaters on and off the ice. One of the best skating books ever! Love the tour, love the skaters, love the book! 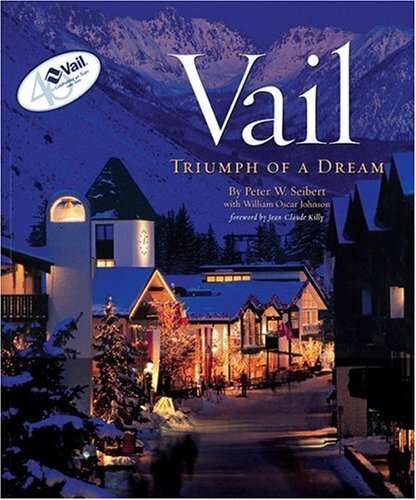 This is a must read book for any Vail skier. I am the son of one of Vail's pioneers (Sigi Faller) and enjoyed many wonderful days on the Mountain in the "Glory Years". The book provides a perspective of Amercian history (Camp Hale and WWII) and relates a romantic business success story, especially for those who are independent, entrepreneural and have a love of the outdoors. It's a fascinating account of finding recreational "gold" in the Colorado Rockies. An excellent collection of photos is included. 7. 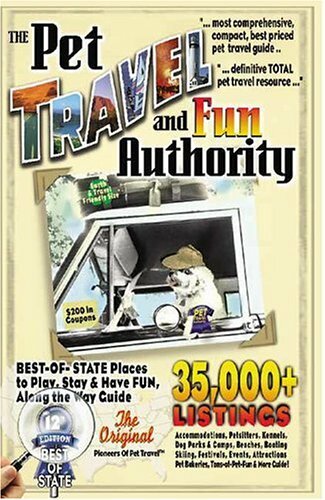 The Pet Travel and Fun Authority of Best-of-State Places to Play, Stay & Have Fun Along the Way: 35,000+ Accommodations, Pet Sitters, Kennels, Dog Parks & Camps, Beaches, Boating, Skiing, Festivals, Events, Attractions, Pet Bakeries, Tons-of-Pet Fun & More Guide! Last year I travelled all over the country over my Christmas break from school. I took my pet Terrier with me and was easily able to find places to stay using this handy, inexpensive guidebook. Very useful resource guide, we used it every day while taking a summer vacation across the western USA. Combined with our cell phone we never had to worry about where we would be spending the night with our golden. We really liked all the info on where we could go get a cup of joe or bite to eat with the dog. 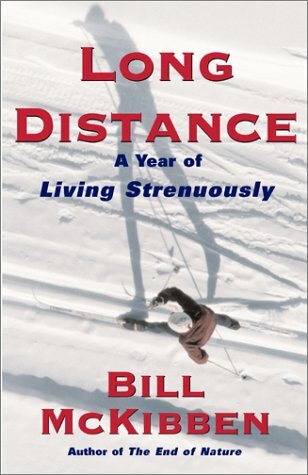 At the age of 37, bestselling author and journalist Bill McKibben stepped out of the ordinary routine of his life to spend a year in "real training" as a cross-country skier. With the help of a trainer-slash-guru, McKibben took on a regimen equivalent to that of an Olympic endurance athlete's, running and skiing for hours every day in preparation for a series of grueling long-distance ski races. 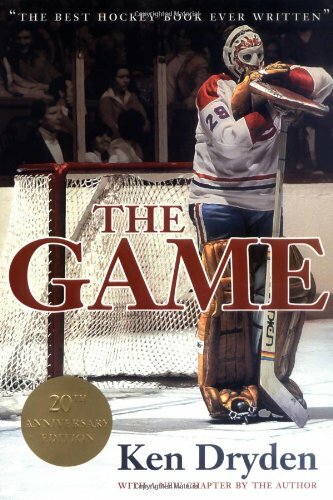 What prompted this successful writer with an admitted aversion to competitive sports to push himself so hard, for so long? Partly it was pure selfishness; after a decade as an environmental writer and activist, I needed a break from failing to save the world. But mostly it was curiosity that drove me. By year's end I hoped I'd have more sense of what life lived through the body felt like. "Except that the minute a race is done, you start trying to make it all add up, turn the thousand things that happen even in a three hour ski race in to some kind of coherent storay with a morale at the end: 'I couldn't focus,' or 'I bonked,' or 'Everything came together.'" -Bill McKibben. To sum it all up, Mr. McKibben has written up an endurance trainer's dream and how he copes with the mental and physical pressures are fascinating to read. I would recommend this book to anyone that is remotely interested in cross-country skiing or how the elite athletes train. This book is disappointing. It purports to chronicle a year of high performance endurance training for a not quite elite athlete. It also, surprisingly, chronicles his father's death from cancer. Neither topic has anything much to do with the science and psychology of world class level compeition in endurance sports. There is no training data, only anecdote; there is no bibliography, but many references to other books which sound like they are better; there are almost no racing experiences in this book - believe it or not, the author only races 8 times in a year. (Why doesn't he enter a few running races in the skiing off season or during the snow drought he whines about ad nauseam?) If nothing else, this book demonstrates that training without competitive drive equates to zero racing results. (If his point is that serious training can only augment genetic capabilities in small ways, serious athletes already know that.) This is really a personal account of the loneliness of the long distance runner - why does the author train for 2-4 hours a day if he isn't really a racer? I don't know what he is looking for, but he is never going to find it on a race course of any kind. Using a casual tone, the author allows the non-elite athlete to vicariously live the "what-if" scenario we all think of -- what if I REALLY trained...? A good, casual read that offers no answers, but plenty to think about. This slim volume actually deals with 2 subjects: 1)endurance conditioning with its emotional, psychological and physical components 2) the demise of the author's father. The training portion with all its equipment and conditioning minutia is better suited to a magazine article. The reader gains an insight into the heroic efforts that world class endurance athletes must generate to be competitive. On one hand their fortitude and courage demand our admiration, on the other hand one may suspect a certain compusive obsessiveness that borders on the fanatical. Let the reader judge. The more compelling portion of the book describes the months in which the author's much loved father engages the process of physical degeneration leading to death. This becomes a profound meditation on mortality and the spititual imnplications of life's last opportunity for self education. Moving and thoughtful, it is the soul of the book. 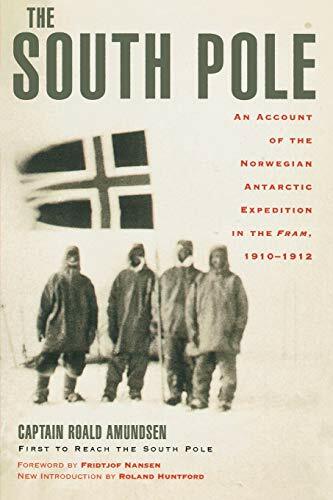 In the Foreword, Roland Huntford describes Amundsen's narrative as "all that Scott's is not". How right he is! This a very large book, but nonetheless an easy read. Amundsen relates a fascinating tale of fortune, misfortune, hardship, and ultimately - success. The narrative is detailed, but not overly so. In many places, a dose of humor is weaved in. Complete with numerous photos, maps, and scientific data, this book should be considered one of the great narratives of exploration. The great moral lesson of this tale is that preparedness ultimately leads to success. Is it any wonder that Roald Amundsen and his comrades won the race to the South Pole? Recent years have seen a re-examination of the Golden Age of Antarctic Exploration. Roland Huntford in his excellent books "The Last Place on Earth" and "Shackleton" helped to debunk the myth of the glorious failure (Scott the Martyr) as an example to follow. The greatest tale of this age was surrounded by no great tales of hardship, no honeyed or sanitised versions of the deed. In this book we hear in the words of the greatest exponent of the art of polar travel, the story of that rarest of plans - the perfectly executed coup. For a coup it was. When Amundsen turned from the North Pole to the South after the question of "the great nail" had been settled by Cook & Peary, his decision was treated in many sectors (most notably an unbalanced and jingoistic British Press) as underhanded and double dealing. Amundens account of the reasoning behind it makes clear that any deceit was necessary to ensure no forestalling of his plans by others - not only Scott. To ensure the future of his extended plan (the drift across the Arctic which was eventually carried out in the "Maud") he knew the Press Barons would need an exclusive and juicy story. The South Pole would give him this currency. The book is written in an honest and clean style - an extension of the Man and his nature. The hardships faced are almost disguised by the simple tale of their telling. To strike up an unknown glacier and forge his way over virgin ground on the way to the polar plateau and the Pole itself displays fortitude and grit we can only marvel at in todays world. But his description of the task is hidden behind a work-a-day narrative. To truly appreciate the splendour of the achievement is difficult in our modern era. One cannot help but admire the total outcome of the plan. There are few tales in history and few great men who can truly say they accomplished exactly what they set out to do in the manner in which they planned. Those who can are Masters of their field. Amundsen is such a man - and master. A feature of this book is the credit given by Amundsen to those who went with him. Where others claimed responsibility for the great deeds of their men, Amundsen retreats to the background and gives the credit to those who did the act. Natural humility is a trait of the Norwegian nature and Amundsen shows this in the writing of the book. There is no playing to the crowd but deeds are allowed to speak for themselves. What goes on in Antarctica? Is it the pristine but harsh frontier where noble scientific missions are accomplished? Or an insane corporate bureaucracy where hundreds of workers are cooped together in hi-tech communes with all the soul of a suburban office park? 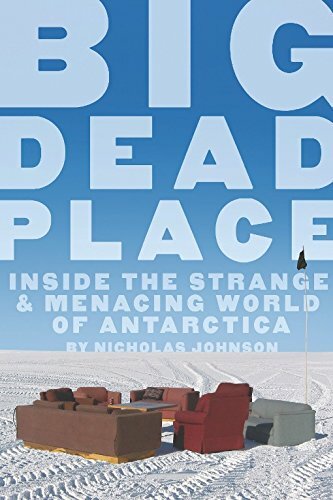 Welcome to Big Dead Place, a grunt's eye view of America's Antarctic Program that shatters the well-worn clichés of polar literature. Here the heroic camaraderie and romantic desolation give way to sterile buildings populated by characters like a crazed manager who fills his boots with antifreeze, the greasepaint-obsessed worker Boozy the Clown, ghosts that haunt the food freezer, and horny employees who grab rare private moments coupling on the altar in the Chapel of the Snows. An Exciting Adventure for Balto the Dog! Balto is a fantastic story about a dog going to Nome to take medicine to sick children. Will Balto make it? Find out in the book Balto. This is a great book that is very exciting to read. 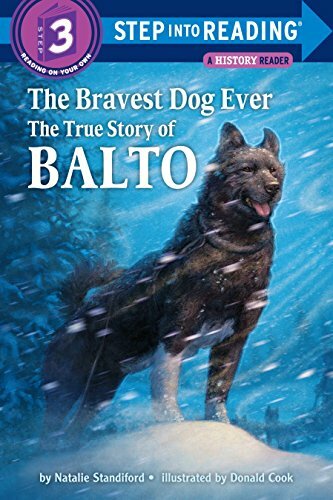 The book the Bravest Dog Ever is about Balto. This is a book which tells the wonderful rescue story of Balto. Balto lived in Nome, Alaska, and that is where the story took place. Two children got sick and they needed medicine, which the doctor did not have. They sent it on train, but the train got stuck. This is where Balto and his crew came to the rescue. They went through difficult terrain, and made the story very exciting. I love the story of Balto, probably because I love dogs. But still the story is really good, and I recommend this book to whoever is reading this review. Balto should be known in everyone life. "This is a true story about a very brave dog." It's 1925 in the sub-zero, treacherous region of Nome, Alaska. Two children stricken with diphtheria need medicine, but the train that carries it gets stuck in the snow, 700 miles from Nome. The town's only hope is a 21-team dog sled relay to deliver the precious medicine. Balto, the head dog on the second to the last run, leads his team through blinding snowdrifts and over a frozen river, and around cracking ice, and reaches Nome almost ten days before the expected arrival. He becomes famous: In New York City, thousands of miles away, a statue of Balto is put up in Central Park. This is an exciting book, with soft, slighted muted illustrations and short sentences, is an excellent book (especially for adventure and dog lovers) for the reader in from around grades 1 through 3. The suspenseful narration and the real heroics of Balto and his driver (along with the 20 other dog teams) make for a dramatic story. 48 pages, includes map of the trail to Nome. Balto is a fraud and this book is a lie! Balto was nothing but a scrub freight dog and that is the truth! In the mid-sixties I lived next door to the real hero Leonhard Seppala and spent many hours listening to him recount his mushing days. He set off from Nome to get the serum and traveled more than 260 miles in subzero temperatures. His lead dog was Togo. Seppala at the age of 90 told me how sad he was that Balto had stolen the glory. Seppala left Balto behind because he was nothing but a scrub freight dog. Seppala said he would never have run Balto in the lead position. After he was already on the trail for a full day's run, Seppala met Gonangnan at Shaktoolik where he took the serum and turned around to head back towards Nome. Facing into a mercilous gale with temperatures at 30 degrees below zero Seppala led by Togo headed across the uncertain ice of Norton Sound. He carried the serum back 91 miles and exhausted turned it over to Charlie Olson in Golovin. Olson in turn handed the serum over to Gunnar Kaasen and Balto who carried it into Nome getting the glory. Kaasen was supposed to pass the serum to Ed Rohn at safety for the final 22 miles, but instead he continued on to Nome, reportedly because his team "was doing so well" and he didn't want to wake Rohn. Others, however, later accused Kaason of trying to gain publicity by being the musher to bring the serum into Nome. For their part, Togo and Seppala covered more than 260 miles. No other team did more than 53 miles. Year's later, Seppala commented: "It was almost more than I could bear when the newspaper dog, Balto, received a statue in Central Park in New York for his accomplishments, decked out in Togo's colors, and with the claim that he had taken Amundsen to Point Barrow and part way to the North Pole, when he had never been 200 miles north of Nome". For the real story check out Seppala, Alaskan Dog Driver, by Elizabeth Ricker, copyright 1930. I bought this book for my 6 year old daughter who loves Balto. I was looking for a book that she would be interested in enough that she would try to read it herself and I found it in this book. She loves Balto and that has helped her spark her interest in reading this book. She needs some help with some of the words but isn't discouraged. The skating world is quickly recognizing that aside from hiring a Sport Psychologist, The Inner Champion is the best resource for addressing the mental aspect of skating. 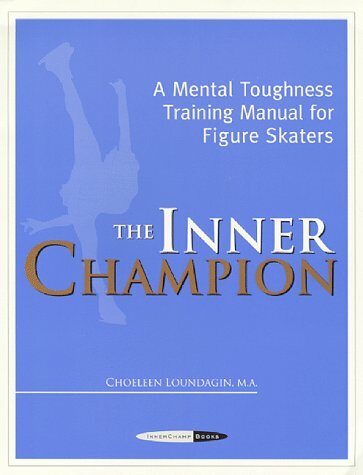 The Inner Champion is written for skaters of all levels and disciplines who want to realize their full potential. This easy-to-use manual is designed to encourage skaters to excel both on and off the ice. 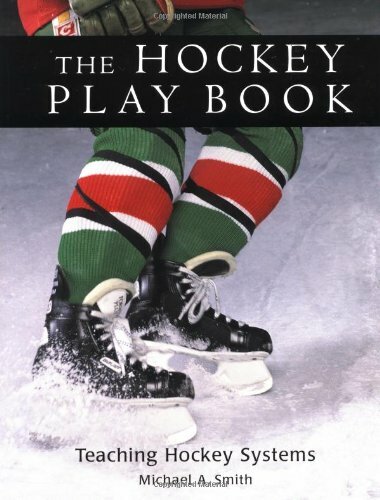 It is also a practical guide for coaches and parents wishing to enhance their skaters' total skating experience. 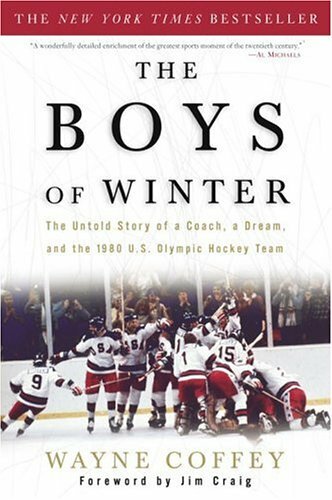 Readers will learn how principles of sport psychology and mental skills directly relate to skating success. 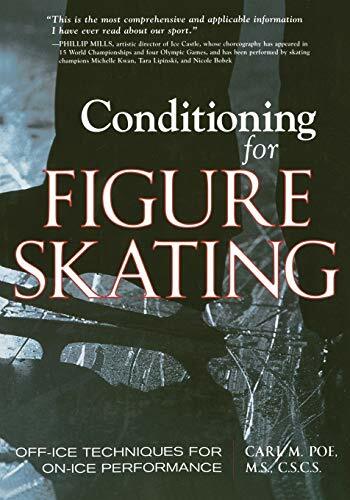 Skaters can work through the book on their own, with the help of their parents, or coaches can use the book's contents to lead an off-ice class for their students. The nine chapters include over thirty fun, step-by-step worksheets which enable the reader to easily apply what they have learned. The book also includes a glossary of important terminology as well as an index and a list or resources. A Primer for the Future Olympic Skater! This is a wonderful, easy-to-read, "makes a lot of sense" guide to using your mind to get where you want to go! 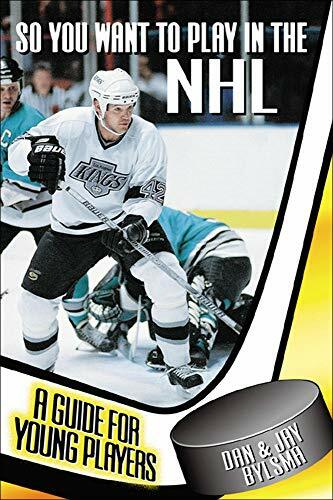 The truth in this book will help anyone become a better skater (or anything else that you want to become!). If it can help me (and it did! ), it can help you! Don't be surprised to see me at future competitions as a Champion...thanks to this book! It has helped me gain confidence and improve my performance in every way! WONDERFUL and very beneficial to skaters!! The Inner Champion is great! It has been so helpful to my skating. I have always gotten very nervous during competitions and tests, which often kept me from performing my best. But by using the techniques and excersises provided by this book, I am able to skate so much better and have a blast! Now that I have learned how to use my mind as a tool, I can enjoy myself so much more. 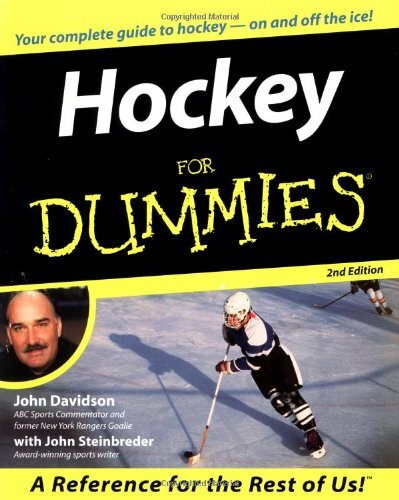 I recommend this book to every athelete !!!!!!!!!!!!!!!!!!!!!!!!!!!!!!! Must have for any athlete. A strength & confidence builder.